If there is one thing we're certain of... Its that people absolutely love their Firefly vaporizers. Right from the very first model of the Firefly vaporizer it was obvious that the company was onto something special. It's not very often that a company comes along and a makes a product that people feel very attached to and passionate about right away. Similar to how Apple Inc has created a culture around the iPhone, Firefly has managed to do something very similar with their portable vaporizer. In this article we will take a closer look at the newest version of the Firefly vaporizer and how the company has created such a unique image and culture along with their sophisticated device and app technology. The Firefly vaporizer is complex in its simplicity. Perhaps the reason why so many people immediately fall in love with the Firefly is because its so recognizable and easy on the eyes. With a range of colors to choose from and newly added limited edition designs, the Firefly brand has a look that will suit your lifestyle. The new nature inspired designs bring a newly revived fresh look to the Firefly 2. Seen in the images below are the newly introduced limited edition nature inspired Firefly vaporizers. All though the new designs are quite nice and will cater to many new and old customers, the classic colors including the Jet Black Firefly Vaporizer are still many peoples favorites. In the image below on this page you will see one of the most popular models of the Firefly 2 vaporizer. 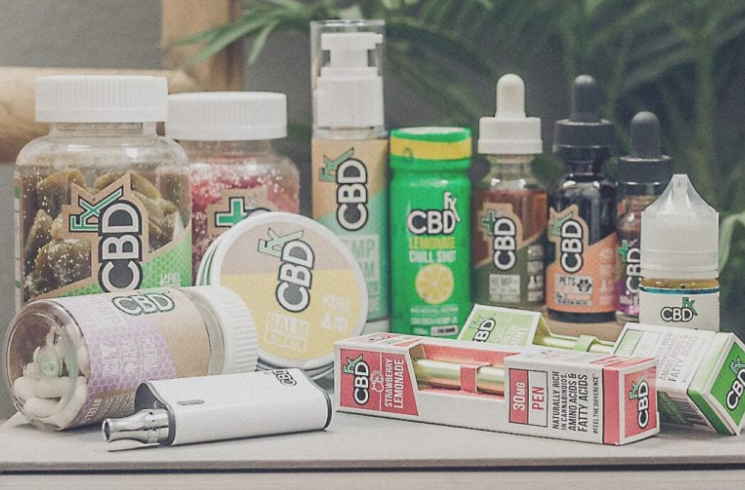 The most important feature(s) that cannabis users look for when choosing the best vaporizer to buy is how efficiently it uses herbs, how smooth a session feels, and how potent and tasty the flavor of the vapor is. The new Firefly is designed for both dry herbs and concentrates, it uses convection based heating to efficiently and evenly heat your material, and gives an individualized experience to each users through the Bluetooth connected application. The app for the Firefly vaporizer might just be the best app that exists for any portable vaping device. The Firefly app received an update not to long ago that allowed you to increase the amount of vapor you can produce through implementing a new 'power tuning' feature via software update. Not to many vaporizers can get upgraded in general never mind through software months after you made your purchase. Usually how portable vaporizers work, is that you have your favorite device for dry herbs, and your favorite device for concentrates. With the Firefly vaporizer we are seeing that there are an equal amount of people on both sides who feel the Firefly is their 'go to' device for both dry herbs and concentrates. The Firefly is one of the best vaporizer over $250 that we have reviewed. 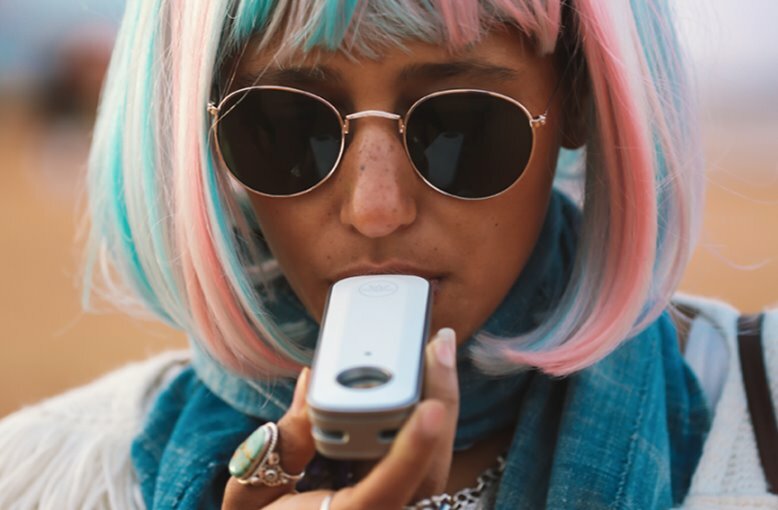 The idea behind the Firefly vaporizer started in 2012 when the two founders Mark Williams and Sasha Robinson came up with the challenge to create a product that could enhance peoples lives. The goal to create the worlds best portable vaporizer was no easy task. Sasha - a consultant for Microsoft, Nike and LG, and Mark - a former designer for Apple, took the advice from Steve Jobs to "build the best thing you possibly can!". The past experiences that both Williams and Robinson have, combined with their core values of open mindedness and self determination they have shown how an idea can become a reality. The Firefly Vaporizer was first introduced in North America. Following the great success that the original version of the Firefly vaporizer received the company decided it was time to expand to the UK, Germany, France, Ireland, the Netherlands, Switzerland, South Africa, and Australia. TechCrunch - "A smooth, cool draw for your vaping pleasure"
Leafly - "Simply put, the firefly 2 is an awesome piece of technology"
Business Insider - "Anyone could pick it up and know how to use it"
Maxim - "Ultra 'high' tech pot smoking essentials"
Vice - "We tested some of the best weed vapes on the market"
Vogue - "Great gifts for your favorite (legal) cannabis enthusiast"
Coupon code SMOOTH can be used to get a free zipper case with the Firefly vaporizer. A case is the best way to travel with your vaporizer and keep it in good condition. The Firefly is a pocket vape and can fit nicely in your pocket, but having the case ads extra protection. Also a deal that you can get is buy one get one free for the batteries. Lastly a deal that Firefly has going on is if you buy an external charger, you will get a free quick charge wall adapter - this allows you to charge batteries much faster. 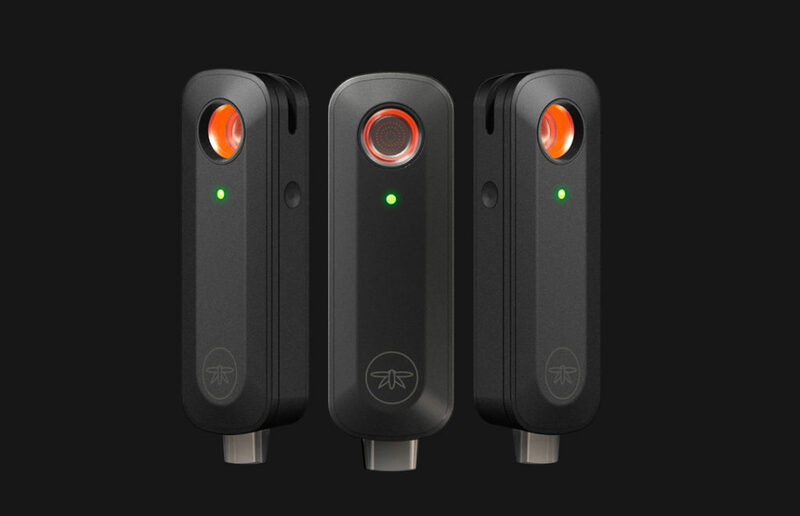 To use the Firefly vaporizer you place your fingertips on the touch sensors that are located on either side of the device. 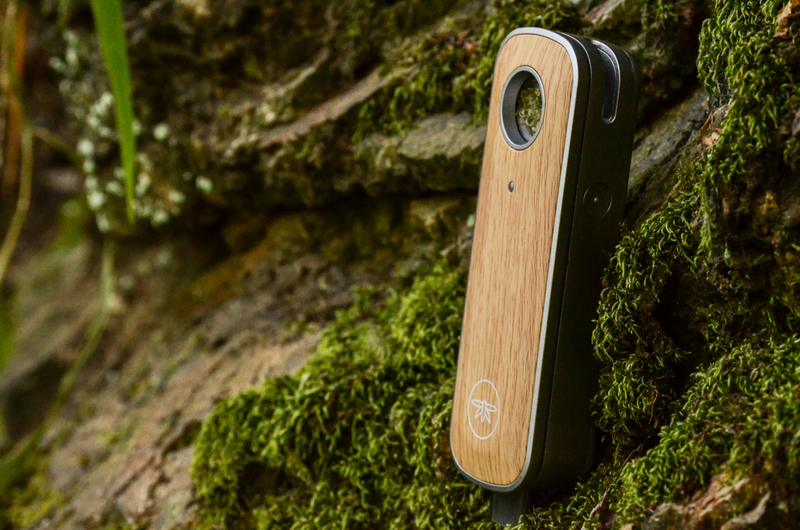 The Firefly is a very fast portable vaporizer that reaches 400° F in just 3 seconds. The Firefly has been designed to deliver consistent and flavorful vapor quality. In comparison to the original Firefly the model 2 is about 50% lighter and 30% smaller. The new Firefly uses customization temperature settings, has a fast charge time, and uses a powerful battery. The lid has a transparent window that allows you to see whats going on in the bowl, the lid is magnetic with a borosilicate glass vapor path that helps to cool down the vapor before it hits your mouth. 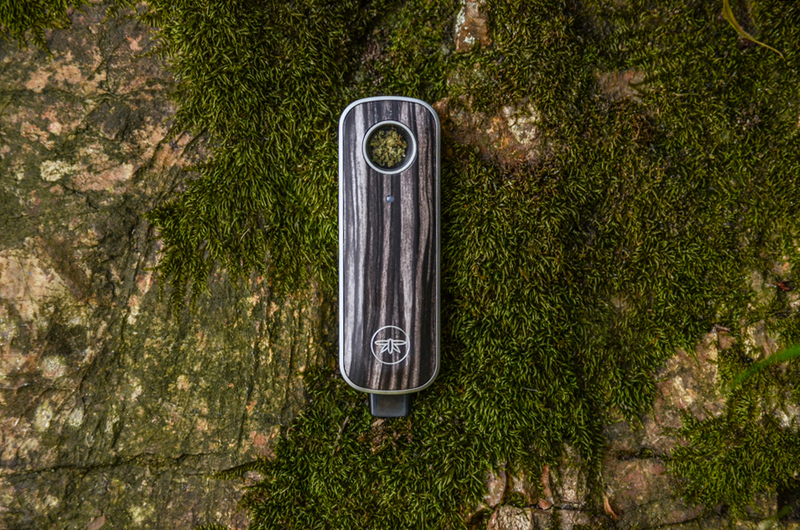 When you put all these features together, including the Bluetooth app, the overall look and feel, and the compact size of the Firefly vaporizer - you get a product and brand that people fall in love with. The Firefly Vaporizer has international shipping and can be ordered directly from their official website. If you would like to learn more or purchase one of the new Firefly vaporizers, you can do so by visiting their official site.